Scientists have made a sensational discovery east of Australia: A continent which has around 5 MILLION square kilometers, and it’s been hiding in plain sight for AGES. Only a small part of the continent—around 5 per cent—is visible today. Experts say that today, only about 5% of it is visible —which is part of the reason it took so long to discover. Interestingly, New Zealand and New Caledonia are part of the new continent, which is about as big as greater India, the best part; the new continent could have economic and geopolitical implications as scientists estimate there may be tens of billions of dollars worth of fossil fuels off its coast. According to reports, the new continent—most likely to be called ZEALANDIA— is the ‘youngest, thinnest, and most submerged’ of the continents, with 94 percent of the landmass submerged in water, the researchers write. Until now there were six ‘officially’ recognized continents: Africa, Antarctica, Australia, Eurasia, North America, and South America. 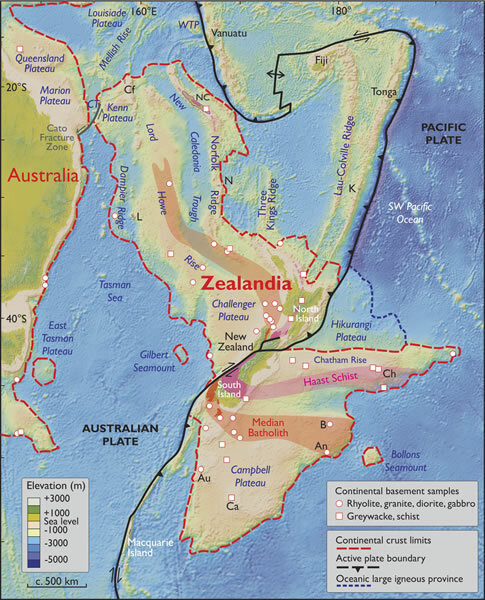 According to the scientific paper titled ‘Zealandia: Earth’s Hidden Continent,’ 11 geologists argue that Zealandia has all four attributes necessary to be considered a continent. Interestingly, the concept of Zealandia isn’t new. In fact, Luyendyk coined the term back in 1995. However, Luyendyk said that it was never intended to be a brand new continent, and the name was merely used to describe New Zealand, New Caledonia, and a collection of submerged pieces and slices of crust that broke off a region of Gondwana, a 200 million-year-old supercontinent, wrote IFLScience. Geologists had determined that New Zealand and New Caledonia fit the bill for items one, two, and three. After all, they’re large islands that poke up from the sea floor, are geologically diverse, and are made of thicker, less dense crust. Spatial limits of Zealandia. Base map from Stagpoole (2002) based on data from Smith and Sandwell (1997). Image source. “The scientific value of classifying Zealandia as a continent is much more than just an extra name on a list. That a continent can be so submerged yet unfragmented makes it a useful and thought-provoking geodynamic end member in exploring the cohesion and breakup of continental crust,” wrote scientists in the new study. “The economic implications are clear and come into play: What’s part of New Zealand, and what’s not part of New Zealand?” he said.